It’s Jazz Appreciation Month (JAM), the 11th such annual celebration since the Smithsonian Institution initiated the tribute. And now there’s a specific Jazz Appreciation Day, April 13th, and even an International Jazz Day, April 30th. You can read more about it and ideas for celebrating jazz on the Smithsonian website. An added feature this year is the Jazz Journalists Association’s blogathon, intended to coincide with Jazz Day (April 13), featuring a call for jazz bloggers to post something more or less at the same time to further draw global attention to this vibrant but generally under-appreciated music. Blogging about jazz a few times each week, I have been thinking about something unique to honor the spirit of the blogathon and JAM in general, while at the same time hoping that Jazz Day, like Mother’s Day, merely highlights what we should appreciate all year long. 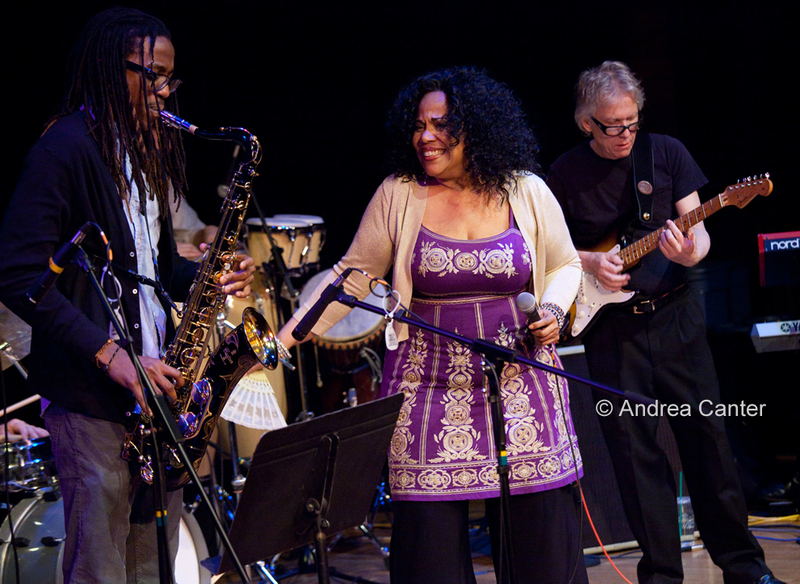 Although I write about ensembles and individuals all the time, I have never highlighted, in one blog, those individuals who are truly the “jazz heroes” of the Twin Cities scene. And it is a slippery slope, of course, to attempt to single out a handful when there are so many who contribute in so many ways. So think of this as the first annual Jazz Heroes list, one that could easily be five times longer, and one that I plan to continue to expand at least annually. · Pippi Ardennia: A superb vocalist who can bring down the house with jazz standards, R&B or blues (often all at the same time), Pippi moved her from Chicago a few years ago and quickly is becoming a major voice on the jazz scene—and not just because of those golden pipes. In the past year, Pippi and drumming cohort Glenn Swanson established a monthly concert series at Landmark Center which has evolved into the PipJazz Foundation, devoted to bringing music to area youth and families. She’s rounding up sponsors to buy blocks of student tickets each month to enable middle and high school students to come here some of the most lively music—and top-notch guest artists-- in town; kids under 12 always come free, and PipJazz is developing clinics for students. But it’s the young guest artist program that really makes PipJazz unique – since November 2011, each monthly concert features a student (middle school through college level) who rehearses and performs with the veteran house band, with a “youth all-stars night” planned for each November’s show. Pippi herself grew up with these sorts of performance opportunities, and she is truly giving it back. 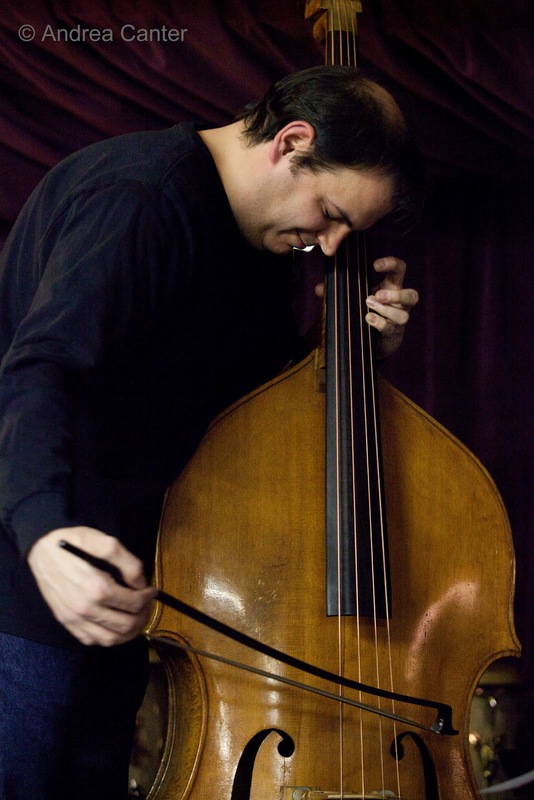 · Chris Bates: The (young) veteran of all things double bass has long been the sideman of choice for numerous ensembles, from How Birds Work and Red Planet to the Atlantis Quartet, Framework and various groups led by Bryan Nichols, Kelly Rossum, Zacc Harris and more. But in the past few months, Chris has stepped way out of the background to form his own Quintet and Good Vibes trio, heading into the studio this month for his Quintet’s debut recording. But what really sets Chris apart has been his desire to bring the audience into the process, hosting three “Open Sessions” this winter at Jazz Central. Beyond an opportunity to get a first listen to new compositions, we had the unique chance to see and hear the evolution of collaborative art, and to inject our own ideas and questions into that dialogue. Is there a better way to really appreciate jazz? · Pamela Espeland: Arts journalist and blogger, Pamela recently took on a broader role with MinnPost, writing twice weekly about arts in the Twin Cities. But for the jazz community, she is truly heroic as the mastermind of the online Twin Cities Live Jazz Calendar, available on her Bebopified blog as well as on the Jazz Police website and linked from a variety of other sources. This is more comprehensive and more regularly updated than any such source for local jazz, and we are very lucky someone was willing to do it, and solely for the good of the music. · Joan Griffith: Slated to receive the Selim Learning Center for Learning in Later Years Distinguished Teacher Award at St Thomas University next month, guitarist/bassist/mandolinist Joan Griffith may have the widest range of influence as an educator, with a student base from elementary and middle school students served via Young Audiences to the college students at St Thomas and Macalester to the senior citizens who pack her classes through the Selim Center. One of her most popular classes among the seniors has been Conversations in Jazz, modeled a bit after Marian McPartland’s Piano Jazz radio series. Each week, Joan invited an area jazz artist to join her on stage for an interactive interview augmented by duets, Joan usually on guitar with the guest vocalist or instrumentalist. Beyond what she teaches (and teaches so well) about the history and nature of jazz, Joan brings the process and art of jazz to life with her “conversations,” providing a window into music that most of us can seldom open. · Zacc Harris: A talented guitarist and composer who still qualifies as a “young lion,” Zacc not only brings us great music in multiple configurations (Zacc Harris Group, Atlantis Quartet, Vital Organ and more), but he has all the makings of the Twin Cities Impresario of Jazz. In the past year, he has brought monthly jazz and educational programs to Studio Z with his Jazz at Studio Z series, offering a unique pairing of open rehearsal and performance. Lowertown is becoming the epicenter of modern jazz in Minnesota, and Zacc is a major reason why. · Steve Heckler: Just a few years ago, the long-running Twin Cities Jazz Festival was in deep trouble. Sponsors had pulled out, the city of Minneapolis was an increasingly reluctant partner with the Peavy Plaza weekend that capped the activities each year. But like the Little Engine That Could, festival director Steve Heckler kept chugging along and found new sponsors and a friendly overture from the city of St. Paul to keep the festival not only alive, but better than ever. Last year he brought in Gary Burton, Danilo Perez, and a far-reaching array of local and regional artists that spilled out from Mears Park into area clubs and performance spaces; in 2012 he brings in Delfeayo Marsalis, Francisco Mela, and The Bad Plus with Joshua Redman. And he’s got even more music lined up around town. 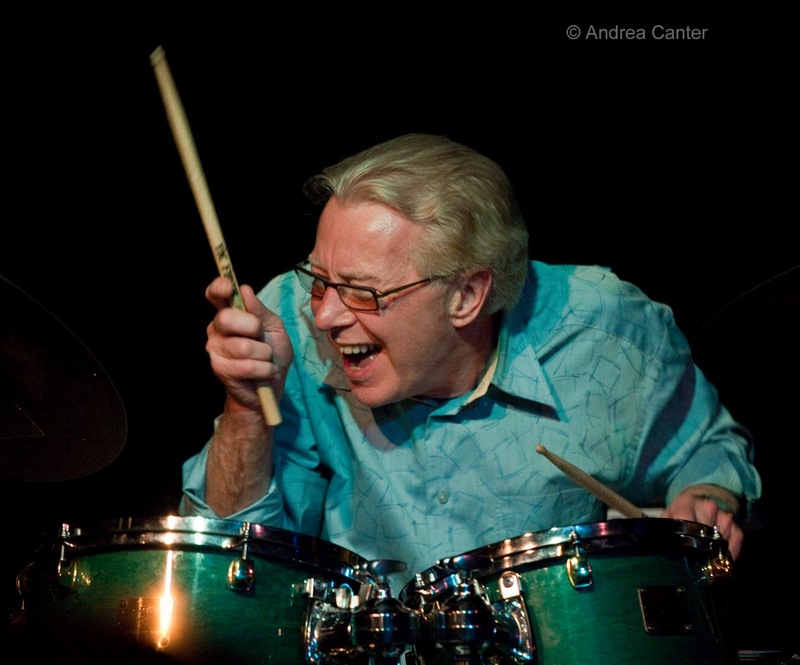 In addition to the performing artists, Steve has maintained his support of youth jazz, with the annual Youth Stage and workshops with headliners at Walker West and McNally Smith. This is still a free and public event, and the term “jazz festival” can be taken at face value. 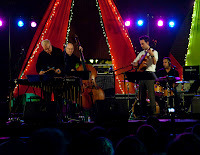 · Kenny Horst: Kenny is one of the perpetual jazz heroes in the Twin Cities. His Artists Quarter has survived three moves, declining revenues, and an ever-fickle jazz audience. Some nights, especially weekends, the club overflows. Some nights, there are more folks on stage than off. Still, Kenny remains steadfast on a couple points—this is a jazz club, and the students down the street at McNally Smith and beyond should be able to afford a ticket. He could probably significantly increase the cover for national artists like Eddie Gomez or Eric Alexander, but he’s hard pressed to sell any ticket for more than $20, and weekends generally are $10-$12, with weeknights usually a mere $5. And those terrific early nights with Cory Wong, Steve Kenny, and “Young Artists” are freebies. In addition to keeping his rates student friendly, Kenny supports the next generation by hosting the Twin Cities Jazz Society’s “Young Artists Series” bimonthly along with early evening shows from McNally Smith, Walker West, Minnesota Youth Jazz Band and more. A lot of chairs need replacing and the piano often needs a major tweak, but somehow, wearing the hats of owner, booking agent, general manager and house drummer, Kenny keeps the AQ afloat. And in jazz, that in itself is an act of heroism. 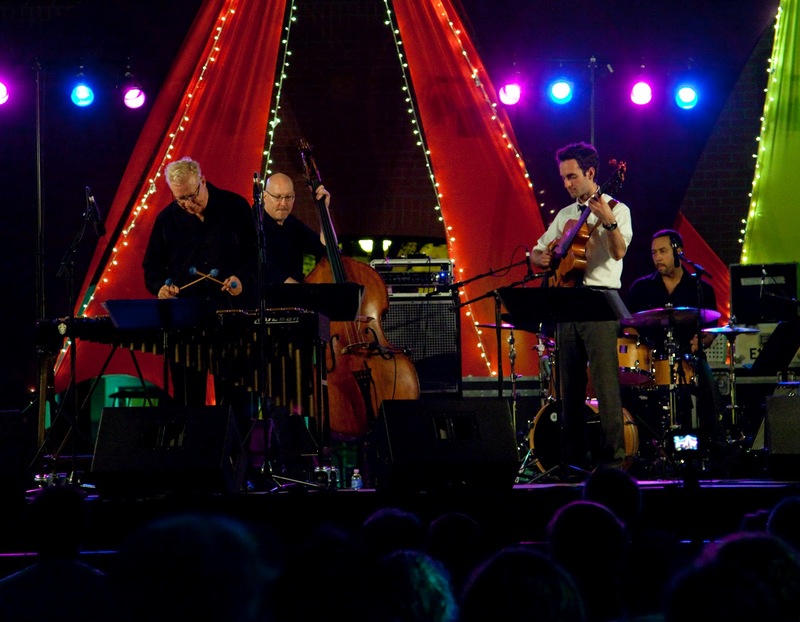 · Adam Linz: When Kelly Rossum left his post as Jazz Coordinator at MacPhail Center for Music, many of wondered who would be appointed to carry on his tradition of innovative instruction and ensemble leadership. Bassist Adam Linz filled the bill, and under his direction, the pool of instructors has expanded to include some of the most creative jazz educators in town; the flagship Dakota Combo (high school ensemble) boasts more and more students at auditions each year and, in 2011, was one of 12 bands nation-wide to participate in the Charles Mingus Festival and Competition in New York City; clinics have been held with Dave King, Dave Douglas and Bill Frisell; and in 2010-2011, the Jazz Thursdays concert series focused on the music of Charles Mingus, supported by a grant from NEA. The Mingus series was (in my opinion) one of the most significant contributions to the area jazz scene of the past few years, bringing the composer and his music to new audiences and providing new appreciation for Mingus’s genius and influence to those already familiar with his work. Even the Dakota Combo studied Mingus in depth, no easy subject for teenagers. 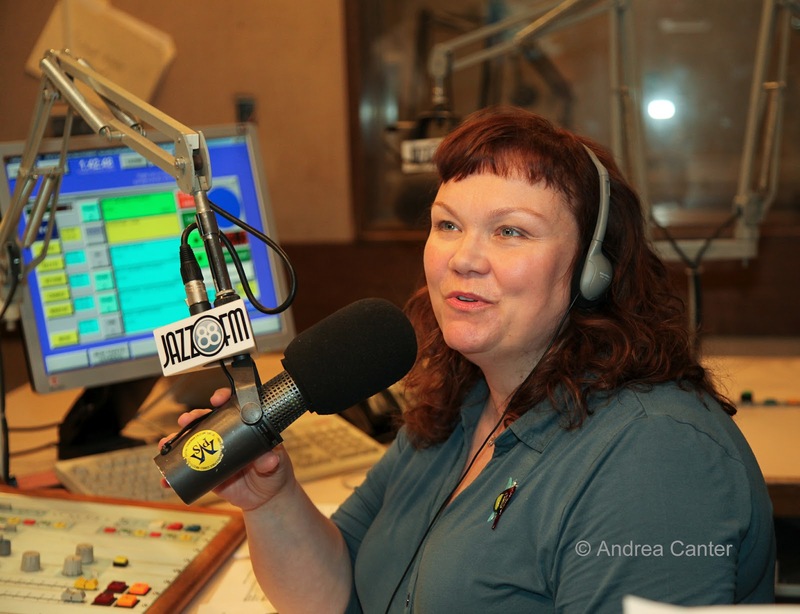 · Maryann Sullivan: When Leigh Kamman retired from The Jazz Image on MPR, we all wondered what would become of local jazz radio. After a short-lived term as Leigh’s “replacement” host on MPR, Maryann brought her vast knowledge of jazz, interviewing skills, and that cool “radio voice” to KBEM, where she now hosts two shows, one aimed at the national scene (Corner Jazz) and the other aimed at our local scene (Local Corner). But beyond KBEM, Maryann (with Rhonda Laurie) has been booking and promoting talents for the Tuesday Jazz Night at The Nicollet coffeehouse, bringing to the small stage (and swing dance floor) a roundup of new talents and bands seldom seen in intimate club settings. In her spare time, Maryann has also been working on her own singing career, and we should be hearing more of “that voice” in song as well as from the host chair in the coming year. · Irv Williams: With each recording (and he has issued a handful since age 85! ), the master saxophonist claims he is retiring. Yet week after week, Irv is on the Dakota bandstand with Peter Schimke (and now Billy Peterson) playing for Happy Hour, and he still takes on private and public gigs despite his 92 years. 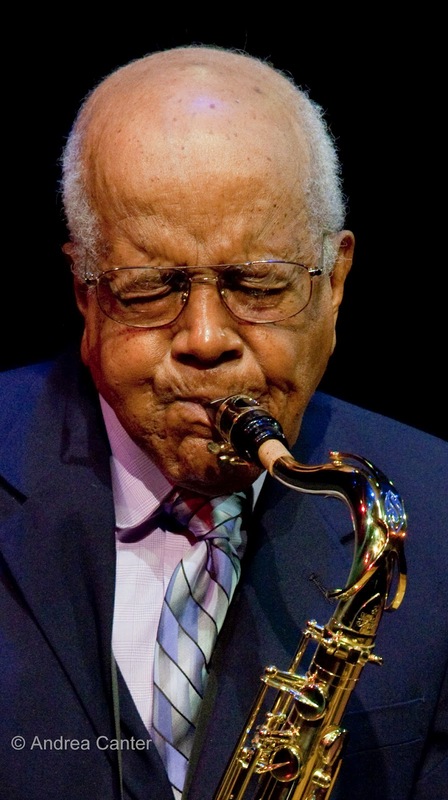 He personally defies any suggestion that “Jazz is dead” and does so with as much passion, if not quite as much lung power, as he did 60 years ago. Hang out with Irv and you have to appreciate the joy and invention and interaction that defines the music.